The American people are weary of war without victory, and “I share the American people’s frustration”. Trump said his original instinct was to pull out of Afghanistan, but now believes a rapid exit would create a vacuum that Islamic militants would fill. Victory in Afghanistan will mean “attacking our enemies” and “obliterating” the Islamic State group. Trump also vowed to crush al-Qaeda, prevent the Taliban from taking over the country, and stop terror attacks against Americans. The US will continue to work with the Afghan government, “however, our commitment is not unlimited, and our support is not a blank cheque”. Trump also insisted the United States would not engage in “nation-building”. “We are killing terrorists,” he said. The US “can no longer be silent” about terrorist safe havens in Pakistan. Trump said Pakistan often gives sanctuary to “agents of chaos, violence and terror”, the Taliban and other groups who pose a threat to the region and beyond. The US wants India to help more in Afghanistan, especially in the areas of economic assistance and development. When viewed critically, this supposedly ‘new’ policy appears to be the continuation of the same old policy, which has been continuing with occasional changes in its momentum during the last over 16 years. President Bush started with the ferocity of spreading devastation in Afghanistan, then there was talk of nation building of Afghans and formation of a democratic Afghan government, followed again by a ‘surge’ of US’ troops, then there was again the talk / plan of gradual withdrawal of US’ troops, and now again there is the plan of inducting additional US’ troops with additional powers and non-commitment for withdrawal of US’ military. For the unwary, on the face of it, this US’ jigsaw policy ‘turn-arounds’ appear to be mind-boggling. However, a careful understanding of certain conceptual, policy, and ground realities aspects related to the US’ Afghanistan War Policy from the beginning till now, brings forth the required clarity and helps in discernment of the latent actualities. These aspects are: (a) a clear grasp of the origin of US’ concept of geopolitics and its prevailing version, (b) a critical examination of US’ Afghanistan War objectives, as announced and oft-amended by the successive US’ governments, (c) identification of the real US’ Afghanistan War objectives, (d) human cost of this war, (e) the extremely inhuman facet of US’ Drone War Strategy as part of its Afghanistan War Policy, (f) economic cost of this war, (g) resultant emergence of ‘mass human hatred’ of the people of targeted countries against US and its War on Terror allies, (h) US’ real concern about stability or destability in Afghanistan, and (i) the identified related probabilities / possibilities in the projected time-frame. 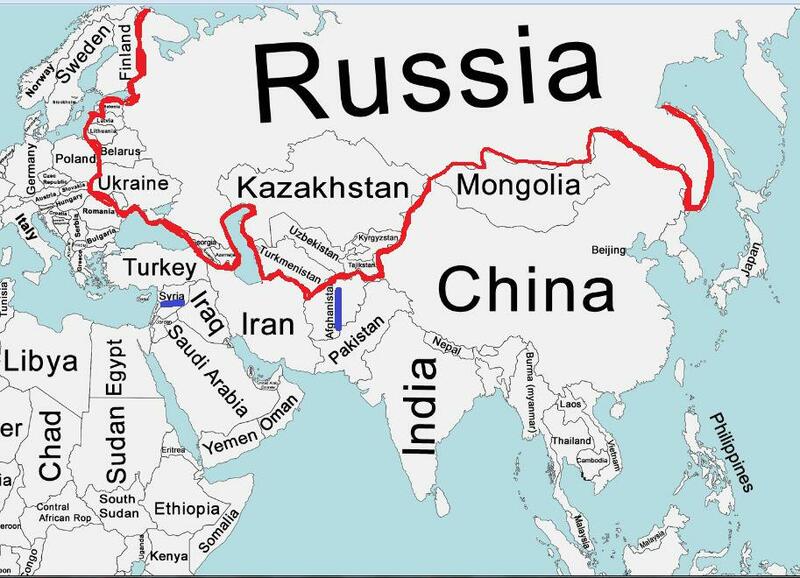 A clear understanding of the concept reflected by the term ‘Geopolitics’ and its misconstrued versions as that of US’, is essential to grasp the broader picture of the prevailing US’ external domineering, including the military invasions or / and interventions in different parts of the world including Afghanistan. With such clear grasp of the broader picture it will then be easy to read through the US’ Afghanistan War Policy, identifying its latent actualities, as also the indicated related possibilities in the projected timeframe. From the academic concept point of view, Geopolitics is basically considered to be the “method of political analysis, popular in Central Europe during the first half of the 20th century that emphasized the role played by geography in international relations”. This term was first used in 1916 by Rudolf Kjeflen, a Swedish political scientist (2). From that stand point it was, and still remains, a beneficial field of specialised study. However, its misconstrued versions, through which many major powers justify their external domineering, including military action to occupy or dominate other countries to exploit their resources, were / are certainly farcical. Factually, world history – ancient and medieval – was almost replete with such acts. However, the phenomenon of ‘institutionalizing’ such acts as national policy, which germinated the subsequent misconstrued versions of geopolitics, commenced from 19th century. The generally known example in that regard is that of the Nazi Germany’s concept of ‘Lebensraum’. In the case of US, history of the official development and application of similar misconstrued versions of geopolitics is fairly well-recorded from the early 19th century. One such version was ‘Monroe Doctrine’. It was officially promulgated by the then President Monroe on 2 December 1823, who declared his government’s assertion of unilaterally expanding its ‘overlord-ship’ over both the northern and southern continents of America, to the exclusion of all other European powers / countries. It is worth noting that this doctrine has not yet faded out, though it has been ‘re-modeled/re-engineered’ by US’ authorities when required to serve the US’ expansionist design in the changed circumstances. That aspect is evidently clear from the elaboration provided by Rear Admiral Colby N. Chester, US Navy, as mentioned in the historical records (3) of America of July 1914. He asserted: “The Monroe Doctrine is the cardinal principle of the foreign policy of the United States. It has been so construed for nearly one hundred years of our national history, and it so remains today, in spite of some statements that have been made to the contrary” (4). And, in view of the changed geopolitical environment of that time, he also propounded the ‘re-modeling’ of the original doctrine to include US’ ‘right’ of expanding its domineering across the oceanic expanses (5). ‘re-modeled’ versions under different ‘slogan titles’ till the present times, clearly included / still include the conceptual ingredients of US’ superiority notions of religion, race, and culture, and the dominant urge of expansionism and imperialism. “…..It is also the constellation of ideas that has informed American nationalism and its actions at home and abroad to this day. ….President Woodrow Wilson invoked it to call Americans to fight to make the world “safe for democracy”, as did President Franklin Roosevelt, when in World War II he rallied the American public behind the war against Fascist and Nazi Europeans and imperial Japan. This foregoing elaboration given by Professor Donald M. Scott suffices to establish that all such concepts and theories of US, like ‘Monroe Doctrine’, ‘Manifest Destiny’, etc., till the more recent concepts like ‘War on Terror’ and ‘Pivot Asia’, were / are basically the intentionally misconstrued versions of geopolitics, with the real ingredients as mentioned by him. At this juncture it is also important to note that, particularly since 1990, NATO’s formulation and application of strategic and military doctrines have mostly been dominated by US, due to many reasons already known. Hence, for most part, these doctrines basically remain within the framework of US’ aforementioned doctrines, thus effectually serving US’ interests. That commonly known fact has also been highlighted by Rick Rozoff, who reported about the strategic concerns confronting NATO, as announced by NATO Secretary General Anders Fogh Rasmussen (7). In that context, in his article “NATO: Global Military Bloc Finalizes 21st Century Strategic Doctrine” (8) he also reported and commented on the proceedings of NATO’s meeting of first week of May 2010 relating to the formulation of NATO’s strategic and military doctrines for 21st century. The Bloc’s Military Committee assembled the defence chiefs of 49 nations supplying troops for the war in Afghanistan, and US’ Vice President Joseph Biden visited the Alliance’s headquarters. Reporting about that NATO meeting, Rick Rozoff has highlighted that despite the assurance of NATO Secretary General Rasmussen that the Alliance’s new Strategic Concept would be finalized on the basis of the careful examination of the report of NATO’s Group of Experts by all NATO member states, all the important elements of the Strategic Concept were decided upon years ago in Washington, D.C.; and that, those included a continuation and escalation of the war in South Asia, in both Afghanistan and Pakistan; placing all NATO member states under a joint U.S.-NATO interceptor missile shield; retaining American tactical nuclear weapons on air bases in European nations; expanding the bloc even further into the Balkans and nations of the former Soviet Union; extending ad infinitum naval surveillance and interdiction operations in the Mediterranean Sea, the Gulf of Aden and the Indian Ocean, encompassing many of the world’s most vital and strategic shipping lanes and naval choke points; penetrating deeper into the Middle East and Africa through military partnerships and training and other assistance programs. However, in the context of the afore-mentioned NATO’s sort of subservience to US’ geopolitical policies, the fact should also not be lost sight of that for some years now there are also signs of gradually decreasing US’ influence on its major NATO allies to support US’ geopolitical policies in certain cases. That factor certainly bears high significance in any endeavour for discerning the geopolitical probabilities in the projected timeframe. The first declaration, regarding the commencement of US’ military invasion of Afghanistan, made by US President Mr. Bush was that this war was a ‘Crusade’ i.e. the holy war of Christians against Muslims. That clearly reflected the religious and racial ingredients of US’ Afghanistan War Policy. That inference is based upon two aspects; (a) the afore-mentioned research findings of Professor Donald M. Scott of Queens College and the Graduate Center of the City University of New York in his essay ‘The Religious Origins of Manifest Destiny’; and (b) the unmistakable clarity of that declaration of the then President of US who announced the commencement of Afghanistan War. However, not much later the US President changed the underlying reason of US’ Afghanistan War from ‘Crusade’ to ‘War on Terror’. It was declared by US government that Al-Qaeda located in Afghanistan had planned the terrorist 9/11 attack on the Twin Towers; hence the US’ military invasion of Afghanistan to conduct War on Terror with the objectives of (a) overthrowing the Al-Qaeda- supporting Taliban government, and (b) destruction of Al-Qaeda in Afghanistan. (a) The theories, usually termed conspiracy theories, still remain in media that the Twin Towers’ collapse and complete destruction was not merely due to the two aircrafts crashing into the towers, but basically due to the bombs planted in the towers. Just to quote one such publication is the article titled “Was 9/11 victim blown out of tower BEFORE collapse? Conspiracy theorists claim video ‘proves bombs were planted’ in attack”, published by UK-based ‘Mirror’ on 11 September 2017. This article highlights that “Conspiracy theorists claim grainy footage apparently taken during the 9/11 attacks proves bombs were planted in the World Trade Center”; and “They claim the blast occurred several floors below the point where a plane was smashed into the building by hijackers. The force of the explosion propels what looks like a body out of the window” (9). (b) As well-known, Al-Qaeda was created, organized, equipped and trained by US’ CIA to fight against the Soviet occupation of Afghanistan; whereas Afghanistan Taliban was an indigenously raised movement which stood up to fight the renegade Mujahedeen groups who were making life miserable for common Afghan people with loot, plunder, and other heinous crimes. There has never been any evidence of Taliban government providing military support to Al-Qaeda. (c) None of the men who were declared to be responsible for the 9/11 attack were from Afghanistan. This elaboration of these three aspects is certainly weighty a negation of US’ claimed basic reason for launching War on Terror on Afghanistan. Besides that, even if the two stated US’ objectives for this war are taken into consideration, it remains to be answered as to why US is continuing to retain its military occupation of Afghanistan when Taliban government was quickly overthrown by invading US / NATO military, and destruction of the US-created Al-Qaeda also did not take long. The next in line was the US-stated objective/concern of capturing or killing the Al-Qaeda leader Osama bin Laden, who was once considered by US as its most respected and valued partner. Even if the US had started treating him as an enemy due to any reason, it remained certainly un-explained as to why a military high-tech equipped powerful military force, over 100,000 strong at certain juncture, was required to stay in Afghanistan just to capture or kill one enemy person. Besides that, the fact remains un-explained that even after the much US-propagated killing of Osama bin Laden in Abotabad, the US military occupation of Afghanistan still continues. The other Afghanistan War objectives announced by US included such objectives like nation building of Afghans, introduction of American values (freedom, equality, democracy), economic development, stabilization, and establishment of a democratic government in Afghanistan, etc. The fact that US did not succeed in attaining even these objectives in Afghanistan, as also the reasons for that, are covered in many publications. However, mention of two of the credible sources of US should suffice. One is Mr. Ed Corcoran, who was a strategic analyst at the U.S. Army War College, where he chaired studies for the Office of the Deputy Chief of Operations; and the other is Mr. John Sopko, the US’ Inspector General for Afghanistan Reconstruction (SIGAR). The objectives announced by US having thus been found farcical and unable to explain the continuing US’ military occupation of Afghanistan; a careful identification of the real US’ Afghanistan War objectives not only clarify the reason for the continuing military occupation of the country by US, but also help in discerning certain projected- time scenario. Three of those real objectives are identified. From this map it becomes amply evident that geographically Afghanistan is virtually a ‘strategic fulcrum’ in this region; and from the ‘politico-military stranglehold’ of this ‘strategic fulcrum’ US can geo-strategically gravitate towards Iran, Pakistan, China, Central Asia, and Russia. Besides posing any sort of missile etc threats, US can also utilise this Afghanistan launch pad to create internal disorder / destability through its CIA elements in the selected areas of these countries. However, it should also be kept in mind that exploration and exploitation of those mineral deposits will require huge work of development of the related infrastructure and other facilities. Third, for long US has been designing to remove the nuclear weapon capability possessed by the only Muslim country, i.e. Pakistan. US’ ‘stranglehold’ on Afghanistan provides US the geostrategic capability of launching US’ CIA-Indian RAW combine proxy terrorists in Pakistan to spread terror-chaos in the country, with the plan of destabilising Pakistan to the extent where US could compel Pakistan to give up its nuclear arsenal and facilities apparently in the name of UN control. This US threat to Pakistan has already been discussed in Pakistan’s national media. As mentioned earlier when, after 9/11 Twin Tower destruction, US’ President Mr. Bush announced US’ military invasion of Afghanistan he called it the ‘Crusade’, but later he changed that war objective as ‘War on Terror’. Factually this US’ War on Terror has never been limited to Afghanistan; its spread also covered / still covers Iraq, Yemen, and certain other parts of Asia and Africa. Pakistan became embroiled in this war’s devastation when under intense US’ pressure it accepted US’ demand of providing its air bases and other facilities to the US’ forces invading Afghanistan. That resulted in the retaliatory terror attacks of high magnitude in Pakistan by the anti-US militant groups; and that phenomenon still remains the serious threat to Pakistan’s internal security. The real objective and nature of this Us’ War on Terror has amply been clarified in one of the reviews published by Joseph Michael Gratale, PhD who is Professor at the American College of Thessaloniki (ACT) (14). That review has been published by the European Journal of American Studies (Reviews 2012-1 ), titled “Walberg, Eric. Postmodern Imperialism: Geopolitics and the Great Games”; in which Joseph Michael Gratale asserts, “1Recent history for even the casual observer of international affairs has been plagued by wars and conflicts in specific regions of the world. The wars in Central Asia and the Middle East, Afghanistan and Iraq respectively, seem to indicate the latest machinations in the imperial designs of the USA”(15). (a) Costs of War project, based at Brown University’s Watson Institute for International and Public Affairs, published on 9 August 2016 (16). (b). “Body Count: Casualty Figures after 10 Years of the War on Terror”, First international edition – Washington DC, Berlin, Ottawa – March 2015 (17) released by the Nobel Prize-winning International Physicians for the Prevention of Nuclear War (IPPNW) (18), along with Physicians for Social Responsibility (19) and Physicians for Global Survival (20). According to another report, “Based on the numbers below, in the Afghan Defense and Interior Ministry section figures, by December 31, 2014, 21,008 soldiers and policemen had been killed since the start of the war” (23). The aforementioned publication Body Count Casualty Figures After 10 Years of the War on Terror, mentions in the Afghanistan Summary (October 2001 until the end of 2013); “Civilians and Combatants Directly Killed, Excess deaths incl., Afghan Civilians 106,000 – 170,000, Journalists 22, NGO Workers 281, Afghan Security Forces 15,000, Private U.S. Security Forces 3,000, ISAF and OEF Soldiers 3,409, Civilian employees of the US government 1,700, “Taliban” 55,000, Total ~ 200,000”(24). (a) “The purpose of this investigation is to provide as realistic an estimate as possible of the total body count in the three main war zones Iraq, Afghanistan and Pakistan during 12 years of ‘war on terrorism’. An extensive review has been made of the major studies and data published on the numbers of victims in these countries. This paper draws on additional information such as reports and statistics on military offensives and examines their completeness and plausibility”. The latest (up to 10 September 2017) fatalities in terrorist violence, spread as a result of US’ Afghanistan War Policy, published by the aforementioned South Asia Terrorism Portal shows that during the period 2003 – 2017, Pakistani security forces has suffered 6,817 fatalities while the terrorist / insurgents suffered 33,733. (28). (a) “However, what is of significance to note is the pattern and scale of escalation of US’ ‘drone brutality’. In that context it is also important to note that the casualty and destruction data given by the Western sources is usually quite lesser as compared to the ground realities, probably due to their insufficient access to the drone-attacked area. However, even that data presents the real face of the ‘horrors of the US Drone War Strategy’. The data presented in the table below is compiled from the aforementioned essay of Leila Hudson, et.al., of Patrick Dehan and the data of The Bureau of Investigative Journalism (UK). The following table shows the number of people killed by the drones during the period 2002 – 2010. Number of people killed in drone attacks during the period 2011 – Mid 2012 (about 18 months) is in addition to this data. It is a known fact that the economic indicators of a country’s economy – GDP, GNP, etc – are often ‘manipulated / engineered’ to paint the ‘desired’ picture by certain governments, organisations, etc. It is therefore better to check the social indicators of the economy of the country, because these show the ground realities related to the application of the ‘actual’ state of the country’s economy; and such ground realities are hard to be ‘manipulated / engineered’. In that context, many credible reports / research papers are available which show that economy of Afghanistan is actually in a critically problematic state. One of the publication of World Bank (36) highlights that “Despite 6.9% GDP growth in 2007-08 to 2011-12, 36% of Afghans remained poor in 2007-08 and one in 3 Afghans couldn’t afford to cover their basic needs in 2012; ….. Growth widened the gap between the rich and the poor, as the poor saw a decline in household consumption and continued to lack access to jobs and basic services; ….. patterns of growth in Afghanistan widened the gap between the rich and the poor; ….. Lack of education, livelihoods and access to basic services contribute to Afghan poverty”. Another publication of World Bank (37) brings to fore “Poverty increased substantially from 36 percent in 2011-12 to 39 percent in 2013-14. As a result, 1.3 million more Afghans were unable to satisfy their basic needs; ….. Unemployment reached 22.6 percent in 2013-14 as fewer jobs were created and existing ones from the pre-transition phase were destroyed, hitting mostly youth, rural populations, and illiterate workers; ….. Progress in human development outcomes slowed down and girls’ primary school attendance declined markedly, especially in rural and conflict-affected areas; …… Moreover, the diffusion and intensification of conflict helps perpetuate poverty down to future generations as children miss school and more families flee their homes”. Similarly a BBC report (38) also highlights that “Afghanistan’s biggest export is still opium – despite attempts to persuade farmers to diversify. 2013 was a record year and the country produces 90% of the world’s opium”. The actual pathetic state of Afghanistan’s economy having thus been clarified, it is also important to note that because of their military invasion and occupation of Afghanistan, USSR and USA bear the sole responsibility of this devastation of Afghanistan’s economy and the resultant extreme misery to Afghan masses. Factually both the USSR and US devastated the then economy of Afghanistan which was in a developing mode at the time of their respective militar0y invasion of that country. In that context, quotation from two credible sources of information suffices. Dr. Imtiyaz Gul Khan highlights that “The infrastructural damage and human causalities continued during the Soviet occupation and, thereafter, the situation remains unabated in the post-9/11 scenario. In fact, its scale has widened with deployment of additional NATO forces and direct confrontation of the Pakistani army with the Taliban groups in Pakistan and at the Pak-Afghan borders”. He then goes on to discuss the socio-economic devastation of Afghanistan and its masses wrought by USSR and then by USA. On the other hand it is also worth noting that, after discussing the socio-economic devastation wrought on Afghanistan by USSR, Dr. Imtiyaz Gul Khan also explains the successful manner in which the Afghanistan Taliban government revived Afghanistan’s economy after the withdrawal of USSR from the country. In that context he asserts “No doubt, the overall economic situation stopped deteriorating in the first few years of the Taliban regime as inter-regional trade resumed in areas under their domain. occupation of the country is evident from the recorded fact that opium cultivation jumped up again to above two hundred thousand hectares, i.e. ninety percent of world’s opium. 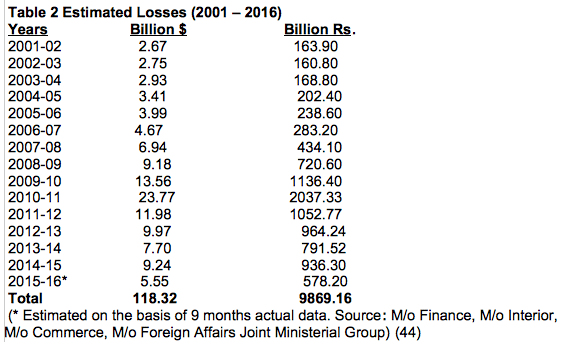 Much has been published about the colossal economic losses suffered / being suffered by Pakistan due the US’ War on Terror. In that context two of the survey reports published by Ministry of Finance Pakistan should suffice. Much published material is available relating to the phenomenon of growing anti-US sentiments in different parts of the world. It is mostly titled as ‘Anti-Americanism’; and there are varying theories about the causes of this phenomenon – including historical background, cultural differences, US’ foreign policy impinging upon other countries, etc. However, there is certainly a significant difference in the causes and the gravity of such anti-US sentiments prevailing in Europe and those countries which have not been subject to US’ militarism, as compared to those countries which have suffered / are suffering from the brutality of US’ militarism. In the latter case US’ militarism includes US’ covert actions for regime change or destablisation of the target country for its political subjugation, or / and US’ military invasion(s) of such countries. In the case of those countries which have been / are being targeted by US’ militarism, the over-riding aspect is the frustrated reaction of the people who have been / are being subjected to the extremely inhuman brutality wrought by US’ militarism; and the gravity of the anti-US sentiments in the public in such countries is in the mode of mass human hatred for US and its war allies. In the context of this over-riding cause just few of the quotations from credible publications would suffice. The paper titled ‘Excessive U.S. Military Action Overseas Breeds Anti-U.S. Terrorism’, by Ivan Eland, Director of Defense Policy Studies, Cato Institute (Massachusetts) (47), asserts “According to the U.S. State Department’s Patterns of Global Terrorism, since the end of the Cold War, by far the most incidents (565) of international terrorism occurred in 19917(48). Not coincidentally, that was the year of the Gulf War. And a substantial number of the terrorist attacks that year (120) occurred from mid-January to late February during which the war was fought (compared to only 17 during the same period the year before)8 (49). Analysts of terrorism have noted that those incidents were “freelance” operations in solidarity with Iraq, but not sponsored by it”. “Roughly three-in-four Pakistanis (74%) consider the U.S. an enemy, up from 69% last year and 64% three years ago”. (52) That adverse feeling has certainly grown further by now. Further publications show similar animosity feelings in all of the countries which have faced / are facing US’ militarism atrocities. That eruption of ‘Mass Human Hatred’ against US and its war allies is certainly as dangerous as the ‘Weapons of Mass Destruction’ for peace in the world. US governments have always claimed that the objective in each case of their overseas militarism was / is to bring in the target country peace and stability, regime change for establishing democracy, nation-building, etc. However, the undeniable facts of ground realities in each case prove that all such US’ claims were / are false being the farcical camouflage of US’ latent geopolitical/ geostrategic/ geo-economic objectives. In actual fact US’ overseas war policy in each case has always been hinged only to the US’ actual objectives, i.e. geopolitical, or geostrategic, or geo-economic, or a combination of these objectives. The otherwise pronounced afore-mentioned objectives, like bringing stability, establishing democracy through regime change, nation-building, etc in the target country have never been at priority in US’ war policy. That fact is amply clarified by the stark ground reality of the trail of immense human and societal devastation and destability wrought by US’ military intervention in each of the target country – splitting of Korea and the resultant emergence of a nuclear-armed North Korea; disintegration of the government authority in Iraq, the resultant civil war and creation of ISIS; destruction of central government in Afghanistan, continuing bloodshed for more than 16 years now and civil war with no end in sight; chaotic civil war in Syria, with no end in sight; and disintegration of Libya in different parts controlled by Libyan National Army, UN-backed government and allies, Government of National Salvation and certain armed militias. That fact has also been highlighted in many publications; quotations from just three should suffice. This admission is evidence of the general causality between Western military interventionism in the Muslim world, and the rise of reactionary armed militia groups. In this particular case, the US-led invasion of Iraq undoubtedly paved the way for the rise of the self-professed ‘Islamic State’, better known as ISIS”; …. “Prior to the war in Afghanistan, there was no Taliban in Pakistan. The group known as Tehrik-e-Taliban Pakistan (TTP) formed in 2007 as a response to NATO’s presence in the region. The afore-mentioned undeniable facts relating to the ground realities clearly show that, right from the beginning of US’ Afghanistan War, US has never been much concerned about bringing peace and stability in Afghanistan. Any doubt to that effect, if still lurking, is completely removed by noting the revelation about US’ Afghanistan War Policy made by Dominic Tierney in his article quoted above that “In a memo to Secretary of Defense Donald Rumsfeld early in that campaign, Under Secretary of Defense for Policy Douglas Feith argued that Washington “should not allow concerns about stability to paralyze U.S. efforts to oust the Taliban leadership. … Nation-building is not our key strategic goal”. In view of the inferences drawn from the foregoing careful research-analysis of the mentioned aspects related to US’ Geopolitics and its Afghanistan War Policy, it is evident that right from the beginning US did not have any intention of withdrawing its military stranglehold on Afghanistan. All of its otherwise proclaimed objectives were simply the farcical façade. US is still adamant to continue like that irrespective of the fact that all of its attempts, for over 16 years now, to subdue the Afghan resistance and form a US-pliant Afghanistan government have failed. Even now after over 16 years of continuous war, about 40 to 45 % of the country is under control or influence of the Afghanistan Taliban. All along this period US tried to achieve Afghans’ subjugation by applying brute mammoth high-tech military force (over 100,000 at certain juncture) and paying billions of USD to bribe the unsavoury Afghan warlords in formation of a US-pliant government in the country. All such attempts will never succeed because the Afghan masses are historically known to be fiercely independent; they continue fighting vigorously generation after generation but never accept subjugation to any foreign power. These facts are also known to US government (s), but the mood so far of US officialdom is to continue with the bloodshed and the destability in the country and the region. The reasons for that US attitude are apparent: (a) the bloodshed and immense human misery wrought by US is on ‘foreign’ people (Afghans and Pakistanis besides the public of some other Muslim countries); (b) the approximately 1. 07 trillion USD spent so far by US on its Afghanistan War project could have enriched the coffers of US’ ‘policy-dictating Military Industrial Complex’, but paid from the pockets of the common US tax-payers; and (c) destability in Afghanistan and its region is used by US as a concocted reason for keeping its military occupation of the country. Unfortunately this scenario is more likely to continue in at least the immediate time frame of about 2 – 3 years. However, there are also likely to be certain severe adverse consequences of this US’ policy too. The most dreadful likely consequence of this US’ policy, which the governments of US and its allies are probably not letting their public realise, is that this unleashing of immense human misery on Afghanistan and other Muslim countries by US and its allies has already begun resulting in the emergence of the afore-mentioned ‘Mass Human Hatred’ of the masses of the countries so targeted by the militarism of US and its allies. It has already started resulting in the emergence of the fighting groups which are fiercely anti-US and its allies. Their violent ‘revenge reactions’, to target US and its allies’ interests, are more likely to enhance in their operational reach far and wide. Besides that the sort of contagious spread of the ‘indigenous’ violent reactions, against the socio-economic injustices including racial discrimination in US and European countries, is also most likely. In that context the current sprouting of violent attacks in public places in US and certain European countries are probably the indicators. The other not-too-unlikely consequence could be the possibility of many factions of Afghans, including even some segments of the US-trained and equipped Afghanistan security forces, joining the fight against the US / allies occupational forces. Such an eventuality will certainly be the mayhem for the military and non-military personnel of US and its allies, who may then be compelled to beat the retreat. *Brigadier (Retired) Dr. Ahsan ur Rahman Khan is a graduate of Command & Staff College, a postgraduate of Armed Forces War Course; with command, General Staff, and rich battle-field experiences of India-Pakistan War. Retired due to heart ailment and joined University of Peshawar, where he earned his PhD. He is a published research-analyst, and has lectured in social sciences in the universities in the twin cities of Islamabad and Rawalpindi. costs-war (Hereinafter cited as Cost of War Project). (17). Body Count: Casualty Figures after 10 Years of the ‘War on Terror http://www. countries/pakistan/database/casualties.htm (Hereinafter cited as Fatalities Terrorism Violence in Pakistan). (22). Cost of War Project. op.cit. (24). Body Count Casualty Figures. op. cit. (28). Fatalities Terrorism Violence in Pakistan. op. cit. (42). Body Count Casualty Figures. op. cit. p. 81. (49). Ivan Eland, “Does U.S. Intervention Overseas Breed Terrorism? : The Historical Record,” Cato Institute Foreign Policy Briefing no. 50, December 17, 1998. pp. 14-15. (cited in Excessive U.S. Military Action Overseas. op. cit. Brigadier (Retd.) Dr. Ahsan ur Rahman Khan is a retired officer of Pakistan Army, a war veteran, a post-retirement PhD relating to Afghanistan from University of Peshawar, lectured in social sciences in the universities of the twin cities of Islamabad and Rawalpindi for about 11 years, and a published freelance research analyst. Did you see China mentioned? No. Let’s talk about the elephant in the room…. Granted the article did mention that Afghanistan occupies a “pivotal role” strategically between East and West. But the East is not really Pakistan as the article wants to focus on…it’s CHINA! Afghanistan represents the BACK DOOR to China, and also, China’s ground path to the Middle East and Europe. There is no direct land route from China to the markets of the ME or the EU. The “New Silk Road” would have to go right through US occupied Afghanistan, and that’s not going to happen. So, it can rightly be said that US presence in Afghanistan is part-and-parcel of the Military Containment Policy that the USA has in place restricting China’s physical expansion. Opium trade – sorrowful tears to Gelizia for exposing the route the USA uses to export the opium – will cover the cost, until the mineral mining operations get into full gear. Afghanistan may also provide a convenient battlefield for testing some new anti-personnel weapons such as concentrated energy beams, sonic bombs etc etc…. We aren’t going anywhere anytime soon. It doesn’t matter how many US lives it takes…and the hope is that it doesn’t take that many.